Does your home have enough porches? 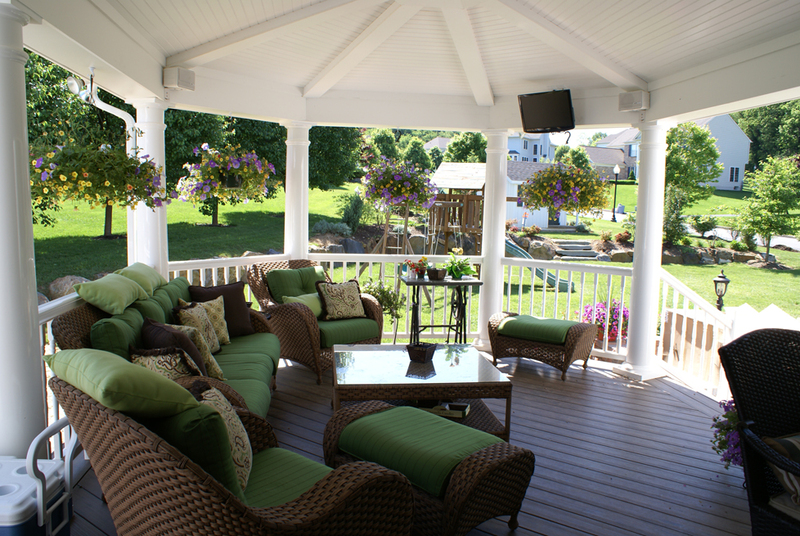 At Archadeck of Fort Wayne, we believe every home should have at least one porch, or preferably two. And if you truly love porches, there is nothing wrong with having as many of them as you want. • Welcome your guests with a front porch smile. If you compare before and after photos of a home where a front porch has been added, you’ll see it for yourself. The façade with a front porch looks like it’s smiling. The porch adds personality to the front of your house and feels infinitely more welcoming. • Protect your guests – and yourself – from rain with a covered porch at the front door. No one likes standing at someone’s front door in the rain, especially if that’s the day you’ve forgotten your umbrella. Fumbling for your house keys at your own front door, in the rain, is a special form of torture. Adding a front porch means you’ll have a roof over your head and it’s a whole different experience. Packages need love, too, in the form of a porch roof so they can stay dry until you take them inside. • Participate in your community without leaving the front porch. While porch-sitting may seem a lost art, think of it as social media before the electronic age. Why not unplug for an hour and relax on the front porch with a cup of coffee or tea? You can’t try this just once, though, and expect to get the full experience. The magic happens when people become accustomed to seeing you there regularly. They stop to chat, and suddenly you’re getting to know your neighbors. One of the best things about adding a front porch – or enlarging the one you have – is that you get to choose everything about it. The architectural style, size and shape, type of floor, ceiling, and columns – not to mention the colors – Archadeck of Fort Wayne will custom-design all of it your way. Your Archadeck design consultant can walk you through the design process and show you the many materials and colors available. We custom design each porch we build. While portico isn’t a word you hear often, you’ve probably seen more porticos than you realize. Like a porch, it provides a roof over your head while you stand at the front door and fumble for your keys. A portico is simply a roof covering the front steps, or stoop, so it’s smaller than a front porch. If you have more than a few steps at your front door, a portico may not even cover all of them. A porch, by comparison, includes an expanse of floor space and has room for porch furniture and maybe even a porch swing. While most porticos are supported by columns, some are only supported by brackets or braces. All porches are covered, so it may seem odd to refer to a porch as a covered porch. The term covered porch is used to distinguish it from a screened porch. 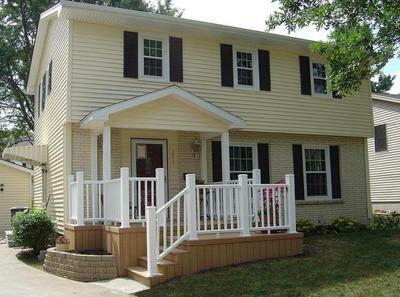 Traditionally most front porches in Fort Wayne are not screened, so those are covered porches. (However, if you would like a screened front porch, we can custom design and build one just for you!) 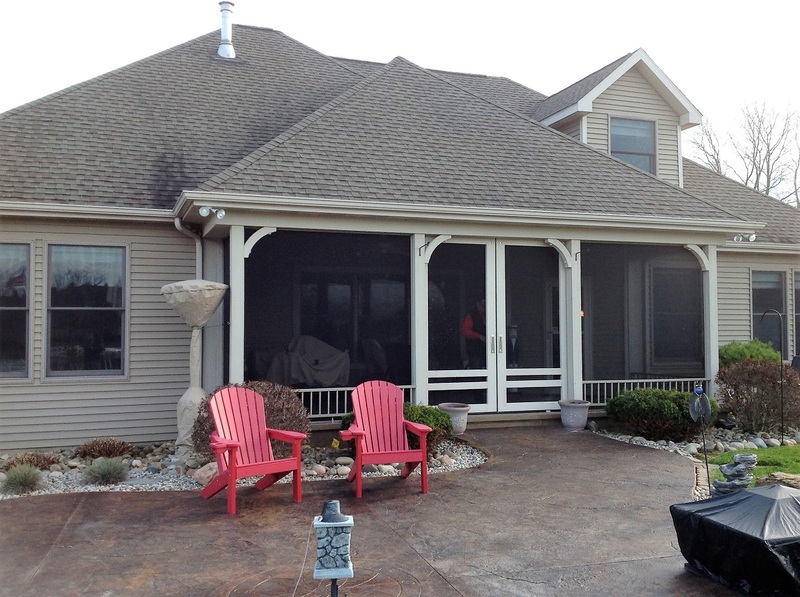 If you are plagued by mosquitoes, flies, or other insects you don’t want to share your porch with, let Archadeck of Fort Wayne create the perfect screened porch for you. 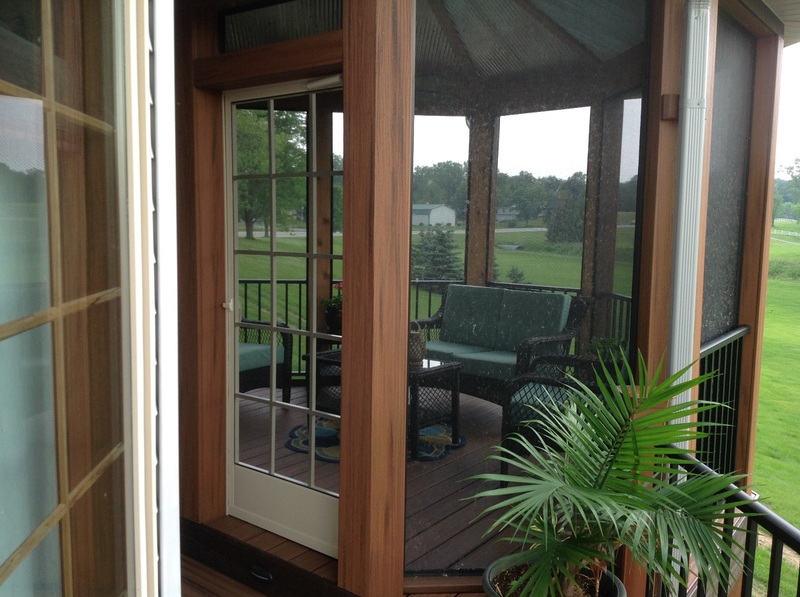 Technology has modernized screened porch construction. Gone are the days when all screened porches were constructed of wooden framing and all screens were alike. Today’s screened porches are more likely to be supported by an aluminum or vinyl (PVC) frame, moving them into the category of low-maintenance outdoor living structures. If you think all porch screens are alike, you’ll be surprised to learn how many kinds of screening products are available now. We can help you select the type that best meets your family’s needs. Some porch screens are designed to reduce the sun’s glare. Some are more resilient, less likely to be damaged by pets or rambunctious children. Some have a tighter mesh pattern to keep out the tiniest insects. 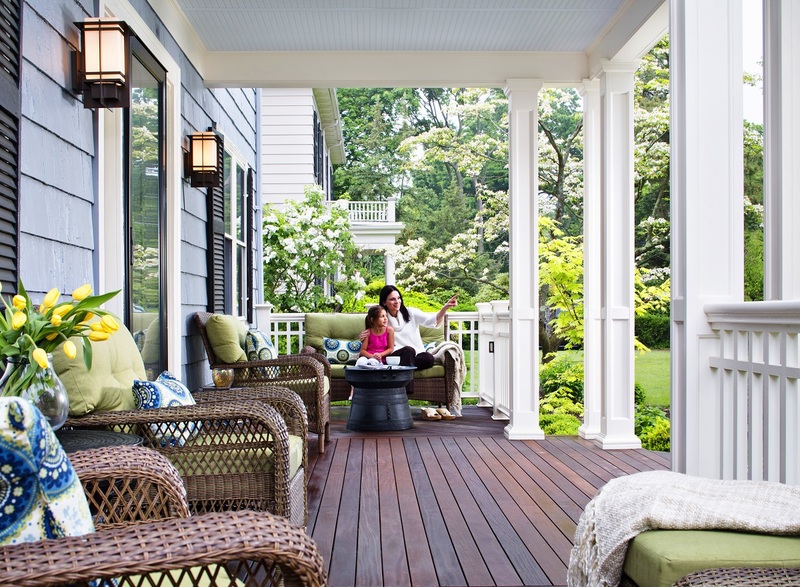 From Screened Porch to 3-Season Room; Are You Ready for an Upgrade? While screened porches are delightful when the weather is nice, once the chill sets in it’s hard to enjoy a screened porch. If you convert your screened porch to a 3-season room, you can add weeks or even months to the time you’ll fully enjoy your outdoor living space. As the Fort Wayne area’s trusted 3-season room builder, we love the versatility of these outdoor rooms. The window openings have screens as well as EZE-Breeze clear vinyl 4-track panels that slide vertically or horizontally. The beauty of the EZE-Breeze system is the way you can open or close your window panels depending on how much fresh air you want to let in. When all of the clear vinyl window panels are closed, your outdoor room is sealed. You can use a space heater to ward off the chill as temperatures drop. At some point, though, the windows will not keep out the chill – which is why it’s called a 3-season room, not 4. Now, imagine it’s a warm spring day with a delightful breeze. Here’s where the EZE-Breeze clear window panels are amazing. You can slide each window panel up and down, or side to side, to let in the warmth and the breeze. In a section of four window panels, you can slide as many as three of the panels open at one time. 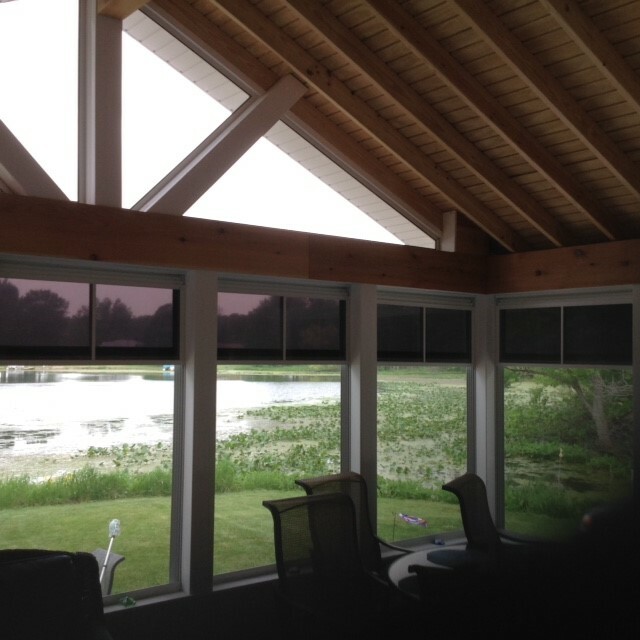 You can reveal the screens in up to 75% of your window openings, leaving only 25% covered by the panels. 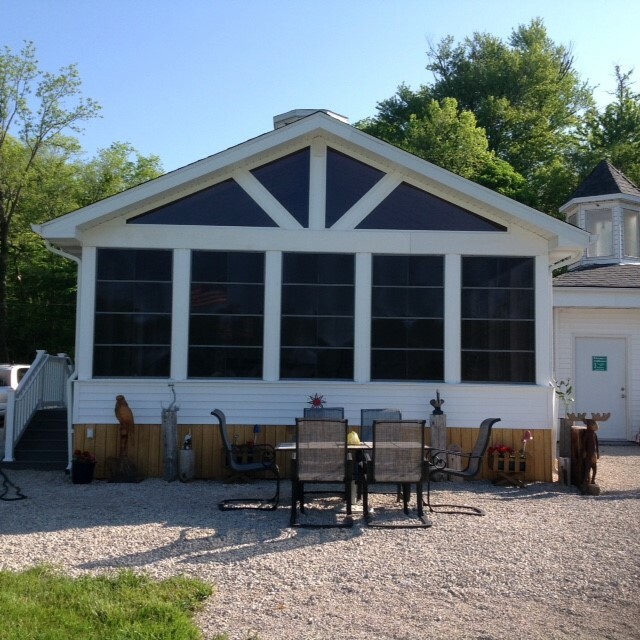 When you just want a screened porch, you can completely remove the window panels for the season. 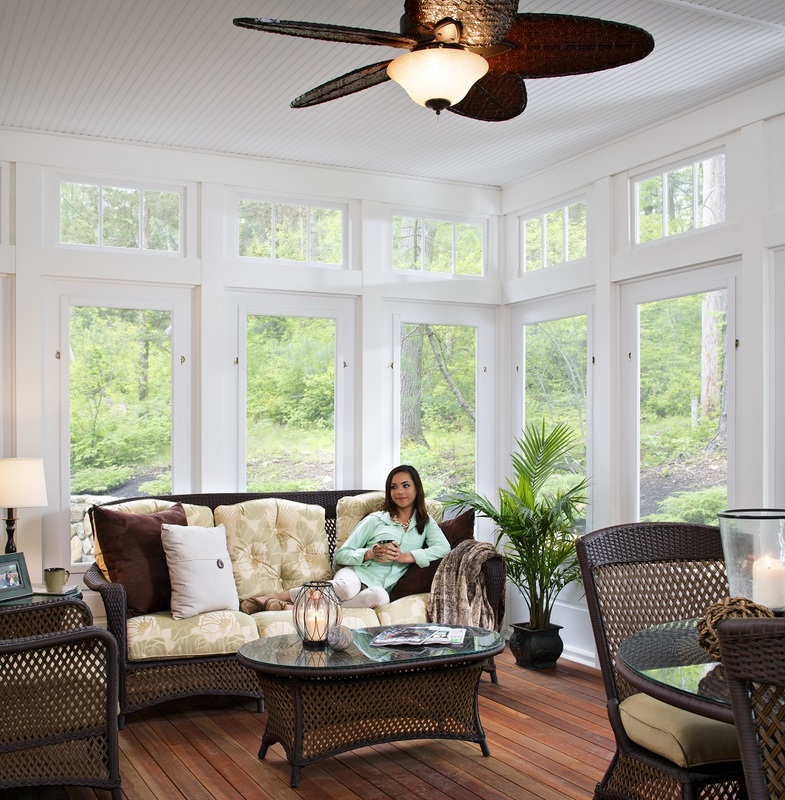 Homeowners who prefer an outdoor room with year-round comfort will opt for a four-season room. These rooms typically feature an expanse of windows and are sometimes called sunrooms. To ensure a 4-season room is climate-controlled, we usually tie it into your home’s HVAC system. You also have the option of using a ductless form of heating and cooling called a mini-split system. You’ll find several types of mini-split systems including wall-mounted or floor-mounted, each designed to regulate the temperature of a single room rather than the entire house. A 4-season room with lots of windows gives you the feel of an outdoor room without being vulnerable to outdoor temperature fluctuations. Enjoy sunny days any time of year. 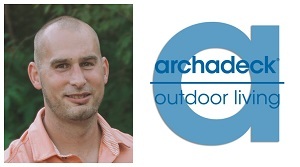 Archadeck of Fort Wayne is northeast Indiana’s premier designer and builder of custom porches, porticos, 3-season rooms, and 4-season rooms. We are here to design and build the perfect outdoor room or porch for your home – front porch, back porch, screened or not. 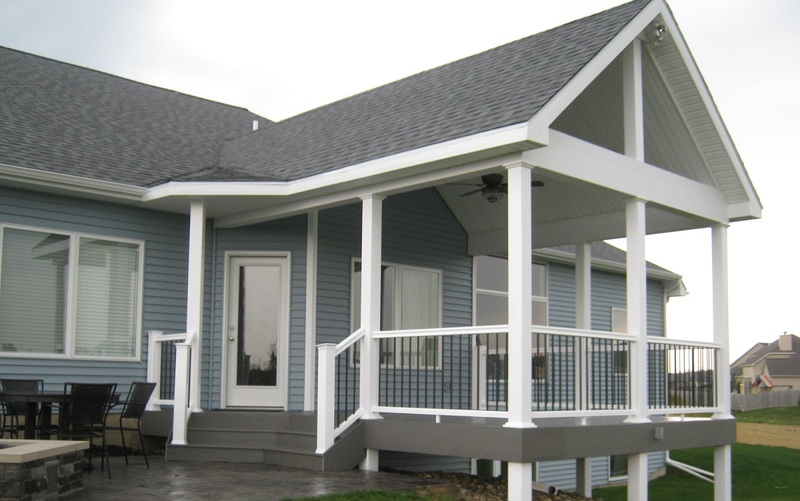 Whether you’re considering a new porch or it’s time to update an existing one, call us for a free consultation at 260-969-8663 or send us an email to get started! 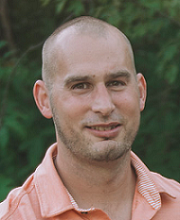 — Craig Whitman, owner at Archadeck of Fort Wayne.